India and Denmark historically share a strong friendship based on shared values and principles. As 2019 marks the 70th anniversary of establishment of diplomatic relations between the two countries, it is time to revisit the areas of mutual cooperation including business, trade and knowledge exchange in order to support each other’s growth. By Embassy of Denmark, New Delhi. Since the birth of the Indian nation in 1947, India and Denmark have had cordial relations and have developed a number of shared values and principles including our belief in democracy, human rights, and international rule based order. This year, we celebrate 70 years of diplomatic relations between our two countries. Indo-Danish relations goes back alIndo- Danish relations goes back almost 400 years to the first interaction between Danes and Indians in 1620, when Danes reached Tranquebar, located in Tamil Nadu. Tranquebar was the first Danish trading post that marked the beginning of trade relations between India and Denmark. Today, there are more than 140 Danish companies present in India and the number is only likely to grow further. 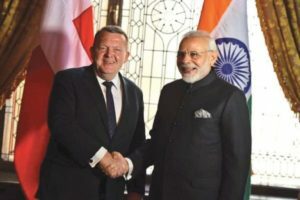 In April, 2018, The Danish Prime Minister, Lars Løkke Rasmussen, met with Indian Prime Minister, Narendra Modi, at the Indo-Nordic Summit and agreed to strengthen bilateral relations and increase cooperation within clean and sustainable energy, climate, agriculture, food safety, urbanization and smart cities, among others. In addition, four agreements were exchanged, one within smart cities and three within agriculture, where Denmark has important strongholds. During the meeting, the two Prime Ministers agreed to restart the Indo-Danish Joint Commission and after seven months, in December 2018, the Danish Minister of Foreign Affairs, Mr. Anders Samuelsen relaunched the Indo-Danish Joint Commission with the Indian Minister of External Affairs, Smt. Sushma Swaraj. The relaunch of the Commission marked an important step in progression of the bilateral relationship between India and Denmark.It is also in this regard, that Denmark has the honour of participating at this year’s Vibrant Gujarat Global Summit as a Partner Country. The Danish Prime Minister and the Danish Minister of Environment and Food will participate along with a Danish business delegation of around 25 Danish companies. With the business delegation, Denmark will be bringing world leading competencies and solutions to Indian businesses. mutual benefits whether it is renewing the ports that line the Gujarati cost, modernising India’s bustling cities for the future or by applying modern techniques to the crops feeding. Renewabl energy is a prime example of an area, where the Danish competences are uniquely matched to many of India’s needs. Denmark is well known for being a pioneer for renewable energy, and the Danish example of a green transition has served as global inspiration and is being replicated around the world. Meanwhile, India is moving focus away from fossil fuels and investing heavily in renewable energy. 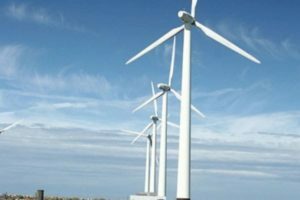 With 30 years of experience in offshore wind energy, Denmark can offer its core competencies within energy sector, and likewise Denmark can learn from India,which is the 3rd largest energy consumer in the world and ranks 4th in terms of Renewable Energy capacity. Furthermore, Denmark stands out as a maritime hub and has for many years been a great player on the global maritime stage. Maritime transport has been a vital source of income in Denmark since the Viking era and it is still growing hand-in-hand with increasing international trade. At the same time, the Indian maritime sector is on the cusp of revolution, and the government has launched several initiatives to modernize the sector with green and digital solutions. This development creates great opportunities forboth countries to share their expertise and knowledge for their mutual benefit and cooperation. We are very pleased to be taking part at this year’s Vibrant Gujarat, and we look forward to take this exceptional occasion to strengthen the trade relations between India and Denmark. It is our belief, that India and Denmark can learn from each other in terms of their respective competencies and strongholdsand that this will lead to further strengthening of existing trade and economic cooperation.